It's a familiar scenario in many "rust-belt" cities: in the last half-century, downtown Erie has seen its role as the regional business district stagnate, its appeal as a shopping destination diminish, and its residential attraction to anyone other than fixed-income renters decimated. Early attempts to stop or slow these trends focused on competing with the nearby suburbs and often harmed the downtown despite the good intentions behind them. The dense historic fabric has been eaten away by surface parking lots, streets that once thrived with activity have been remade into virtual expressways, while the major business thoroughfare, State Street, underwent mall-like cosmetic makeovers, removing its vehicular traffic and convenience for the few remaining shoppers. 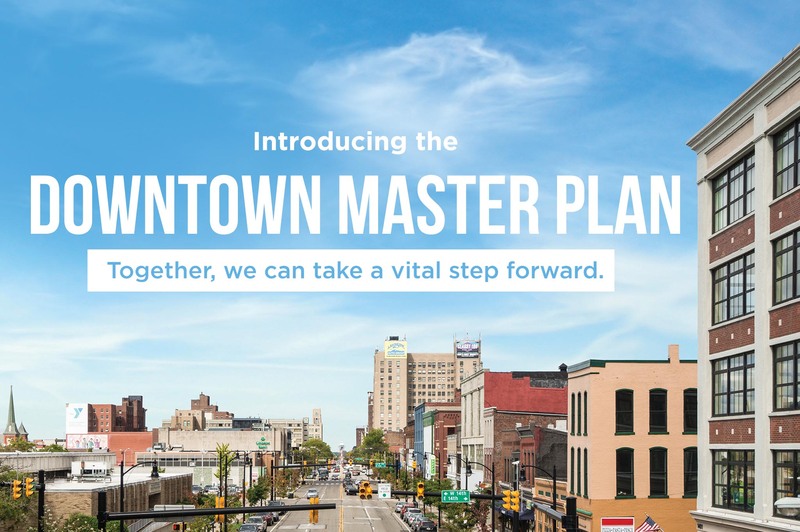 In 2006, the Erie Redevelopment Authority and the Erie Downtown Partnership worked together to create a Downtown Master Plan to guide future development within Erie's downtown area. After ten years, ERA was pleased to assist with the development of an all-new Downtown Master Plan.